I’ve always had a contentious relationship with sleep. When I was diagnosed with an unknown form of epilepsy (a seizure disorder) at 17, I was given a lifetime prescription to pharmaceutical drugs and the gift of a neurologist-sanctioned excuse to get a full eight hours of sleep a night. My doctors stressed the importance of getting regular sleep—physical fatigue and emotional stress exacerbate the symptoms of epilepsy—but frustratingly prescribed me a medication with a main side effect of insomnia. Ah, the irony. I spent many years staring into the dark as the clock ticked through the night, my mind refusing to rest. This double-whammy of a problem—seizures and permanent under eye bags? !—lead me to eventually stumble upon meditation and mindfulness practices. After practicing full-body meditation on a regular basis, it became clear that my body was desperately trying to communicate with me … and I was not paying attention. But slowing down and listening helped me hear what my body was trying to say. Although I wasn’t a perfect meditator (I often go days without sitting), I noticed my epilepsy symptoms went away when I did indulge in a few minutes of mindfulness a day. So did my insomnia. The improvement in my wellbeing was remarkable. Mindfulness gave me a clearer overall perspective of the world, which helped me take everything a little less seriously and have a little more empathy for other people. Perhaps most importantly, I learned exercises that allowed me access to my subconscious mind, which in turn made me far more creatively inspired and made me less anxious. I became a better version of myself mentally and physically. But before you get to thinking that I’m some ego-less Buddhist monk, let me be honest: I didn’t tell anyone about my weird new habits. Even though I was performing very well at work, present in my relationships, and pretty dang happy, I was worried people would raise their eyebrows at my experiments. Then something really wonderful happened. As part of my work as an editor, I began to interview female leaders in an attempt to understand how women can change the paradigm of what it means to be a ‘female leader’ in this modern age. And I was surprised to find that the best leaders I interviewed—the ones who really walked the walk and talked the talk—all had a spiritual practice … like me. And they were a bit nervous to reveal that aspect of their personality, even though it clearly played an integral role in why they were such incredible leaders … which also resonated with me. When asked, they made it clear that they wanted to connect with like minded women who understood where they were coming from. After seeing this pattern emerge too many times, I created oh holisticism, a collective of women interested in exploring the intersection of holistic living, mindfulness, esoteric healing, conscious leadership, entrepreneurship, and fun. Today, we count ourselves at over 1,500 members across the world. I’ve learned a lot in the past few years while on this path, but hands down, the most important tool that I’ve learned over the past decade of experimentation is what I’ve come to call the Awake/Unconscious exercise. Whenever I revisit it, my creativity knows no bounds and I notice an elevated sense of mental clarity, and I can immediately see which areas of my life need more attention. The practice is inspired by psychoanalyst Carl Jung’s theory of the subconscious mind. Jung believed that the subconscious (or unconscious) mind impacts the actions of our conscious, waking mind. Essentially, our unconscious influences our perspective, logic, awareness, emotional intelligence, and feelings. It’s the root from which everything else grows. If we can tap into the insights of our subconscious mind, Jungian practitioners believe, we can access our true depth, potential, and genius. No big deal. Here’s the tricky part: Jung stipulated that our subconscious mind is constantly trying to communicate with the conscious mind, but the two essentially speak different languages. This is because the subconscious is buried deep within our psyche. It’s tough to access, and even more challenging to communicate with. One way Jung suggested we translate what the subconscious is trying to tell us? By looking at our dreams. Jung’s work and research led him to believe that our unconscious mind communicates best through dream imagery. While we’re asleep, the psyche can run wild and truly express itself. When I first read this, I was so annoyed. I’ve never been one to recall my dreams. For so long my insomnia prevented me from even sleeping, and now I’m usually so tired at night I don’t even remember my head hitting the pillow. Try as I might, I couldn’t remember my dreams. So I found a solution—a way to channel my subconscious without having to keep a dream journal. In the 10 minutes directly after I wake up, I write. You know that sleepy time when you’re half awake, have morning breath, and are still kind of dreamy? That’s when your conscious mind is waking up, too, and taking the steering wheel from your subconscious. If we’re lucky, we can tap the transition and use that time to allow the subconscious to communicate. 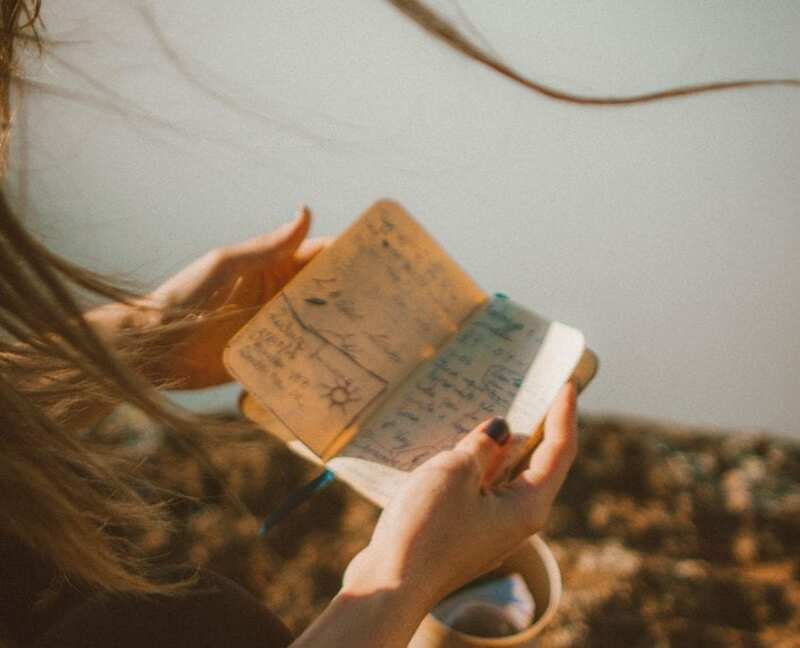 I am constantly STUNNED by what ends up coming out during this quiet time—some of my most creative ideas or intense feelings have been ‘accidentally’ revealed to me during this 10-minute exercise. It’s amazing for when you’re stuck on a problem, feeling stressed, or just want to get clarity on a situation. Here’s how it works. Fall asleep. Get 8 hours. Wake happy. Immediately after waking up, grab a pen and paper. Don’t check your phone or technology. Begin writing. Don’t even think about it—just allow your pen to float across the paper without judging or inhibiting yourself. This is the most important aspect. Do not try to think of what to write or go back and read what you’ve written mid-sentence. Allow your subconscious to take over, even if you just write jibberish! Just don’t let your pen leave the paper. You can draw or you can write. Get in flow. If you have specific questions, write them down the night before and answer them in your Awake/Unconscious state. Stop when you feel ready. You can do this exercise daily, weekly, monthly! Whatever. Like all things, the more you do this exercise the easier it gets. And it’s so easy, you can do it from bed! You’ll likely find that you’ll look forward to this practice, because it’s so interesting to see what the subconscious reveals. Superfood Maca powder is derived from the Peruvian Maca root. Maca contains twenty amino acids, most importantly glucosinates (found in broccoli and cruciferous vegetables). This wonder powder should be a staple in everyone’s diet. Mostly known for it’s libido and fertility boosting abilities (for both male and female), this powder is also effective against menstrual cramps and hot flashes during and before menopause. Maca also helps to balance hormone levels and thus with mood swings, increases physical and mental energy and may even be responsible for decreasing skin sensitivity in extreme climates. Maca powder looks similar to cinnamon and has a cocoa nutty taste. We recommend blending it into your morning smoothie, adding it to a acai bowl or mixing it in with tea. Just in time for Valentine’s day, try this dessert to get your love’s juices flowing! Sick a straw in and enjoy ! 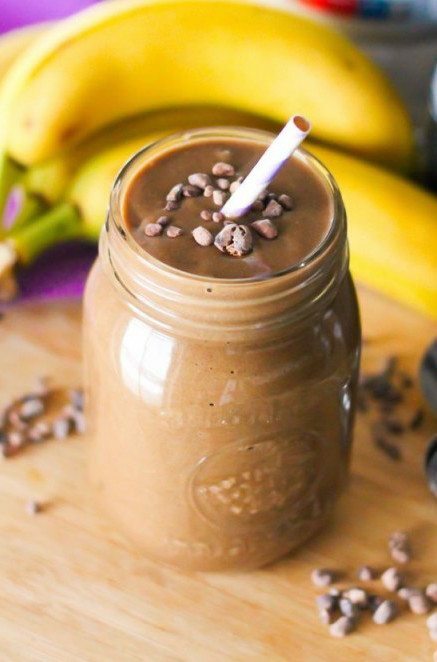 http://www.thedailyscrub.com/wp-content/uploads/2015/03/Banana-Mocha-Smoothie-2.jpg 771 950 lisa http://www.thedailyscrub.com/wp-content/uploads/2017/08/dailyscrub-logo.jpg lisa2018-02-13 14:16:292018-02-13 14:16:29Maca Love Jar! It’s a New Year so let’s take a look into our makeup bags – ditch the old and clear out to make room for new! 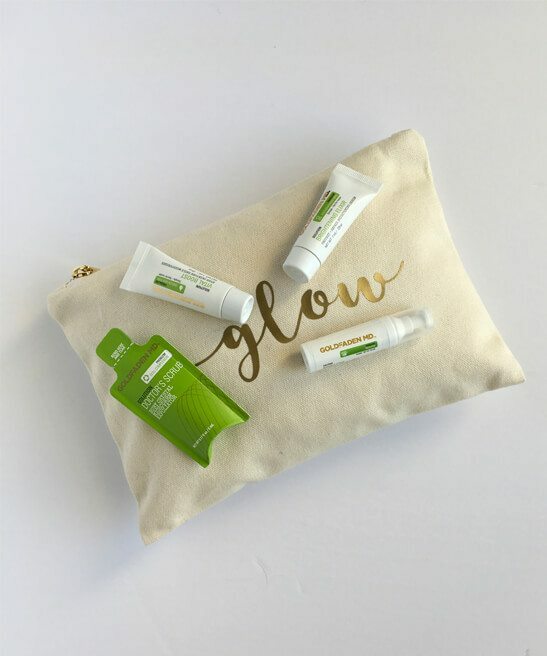 Makeup bags, the subject of many discussions, can contain the remnants of days and looks gone by and serve as a host to bacteria that leads to clogged pores and breakouts. Give your brushes a bath. Makeup brushes hold host to bacteria, especially those used with any liquid type of makeup (foundation, eye, and lip). Brushes should be washed with a gentle shampoo and laid to dry overnight on a weekly basis to avoid spreading bacteria and giving you the cleanest + flawless brush finish! When you’ve come down with a cold or had the flu-get rid of things like toothbrushes, makeups and products you stick your finger in. Lending your bestie your lip gloss is a great way to spread germs. 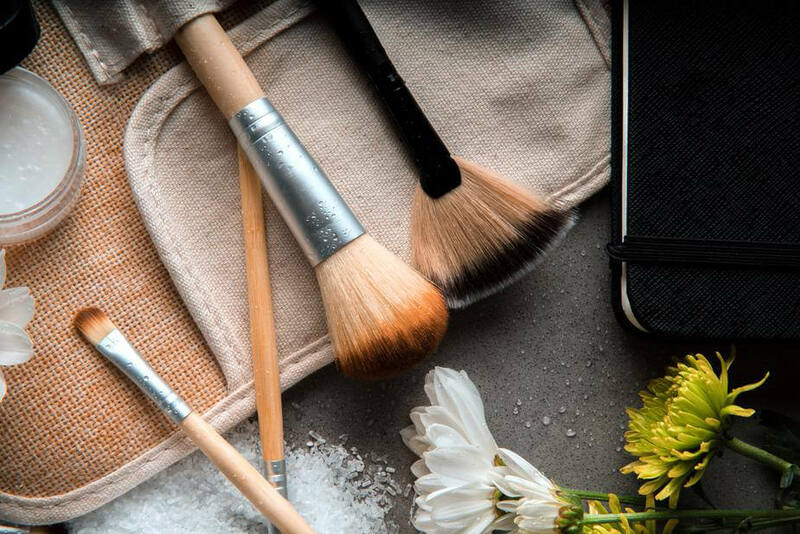 Most of us keep our makeup in the bathroom, but heat and humidity can allow yeast and mold to grow, so try and keep makeup away from the shower. Last but not least, its good to clean out the old and try something new. It is after all a new year with so many beautiful possibilities! Discover our favorite 2018 products? Lisa’s 2018 addition: I have a slight obsession with bronzers and highlighters, so after my bag cleanse I had to add another. Absolutely love the color of Bobbi Brown’s limited edition highlighting powder in Opal Glow! 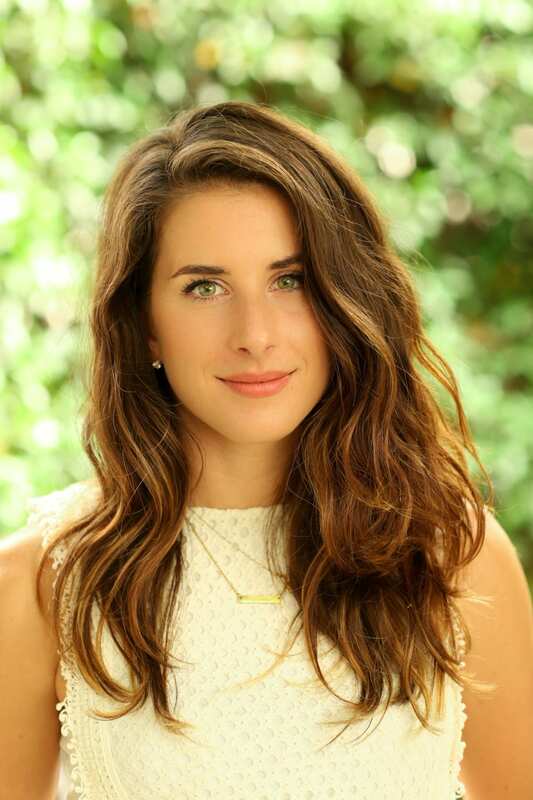 Lauren’s 2018 addition: It’s no secret that Lauren is obsessed with lip gloss. Where usual goto is Chanel, I once counted five in one bag! This season she opted for Kevyn Aucoin’s Molton Lip Color topcoat in Opal. The perfect addition to any lipstick!